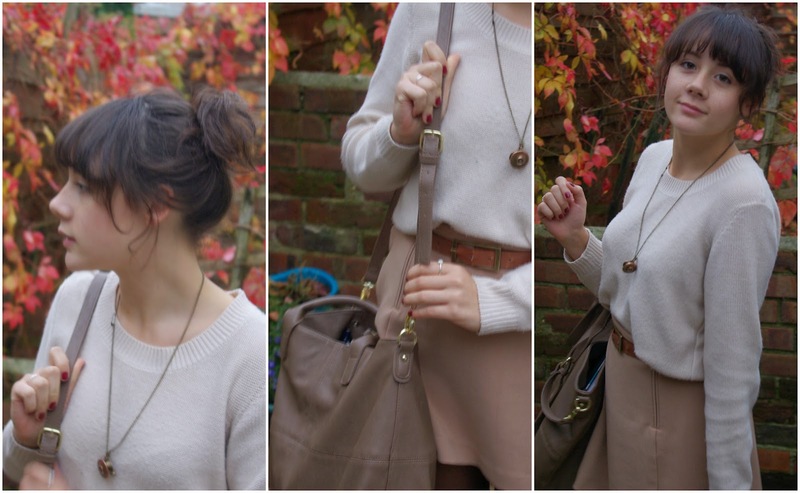 I didn't realise how dull this outfit was until I was editing these photos and saw that the only colour comes from the Autumn leaves, oops. 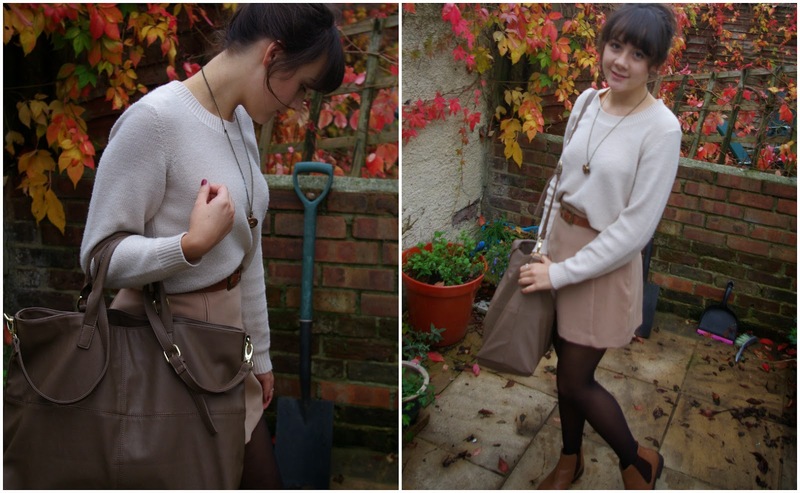 This is all basically to showcase my new bag from Forever 21! After I moaned a little about my wearing old college bag in this post, I decided it truly was time to invest in a big old tote for the next year or so. I made Sam sign up for the newsletters to slash a fiver off the price #bargain. It smelt kind of fishy when it arrived? But that wore off after a day or so and I am really loving how roomy this bag is! It's got three compartments (one zipped up) and it will fit practically everything in it. I could probably sneak my dog into college with this Mary Poppins bag. And as for the outfit, this is the third time I've worn this jumper on the blog, and I'm wearing it as I type, it's simple but I love it. And the skirt I bought last Christmas with a gift card, it's about two sizes two big for me and this is the first time I've worn it, not half bad with the belt cinched in tight enough! 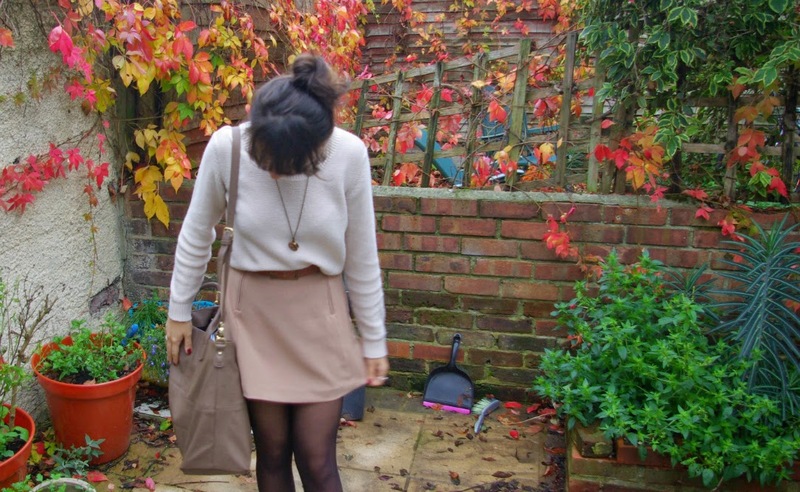 This outfit is perfect for autumn. I think you did a great job on putting this outfit together. I really like the skirt. Great post. I don't think the outfit looks dull- I really like the skirt!